Sunday, July 3, 1859.Springfield, IL. Lincoln asks editor of "Central Transcript," Clinton, to put him on subscription list, promising to pay at fall court. 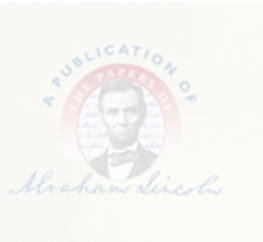 He then criticizes article in recent issue against Republicans of northern Illinois, whom Lincoln defends. Abraham Lincoln to the Editor of the Central Transcript, 3 July 1859, CW, 3:389-90.